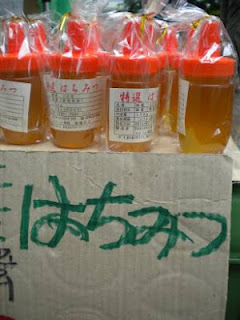 Japan Farmers Markets: Don't Forget: Tokyo Farmers Market Outing This Sunday! Don't Forget: Tokyo Farmers Market Outing This Sunday! Just in case you forgot to put it on your calendar, here's a little reminder about this Sunday's adventure to the Earth Day Market. Join me for a few hours of fun that are full of good food, interesting people, cool artwork, and most likely some music, too. What could possibly be holding you back? A ceramics art fair is on at the same time, which should be just brilliant as well. Pretty bowl for your miso? Nice plate to serve up that squash? How about a nifty glass for that organic wine? Oh, the possibilities!